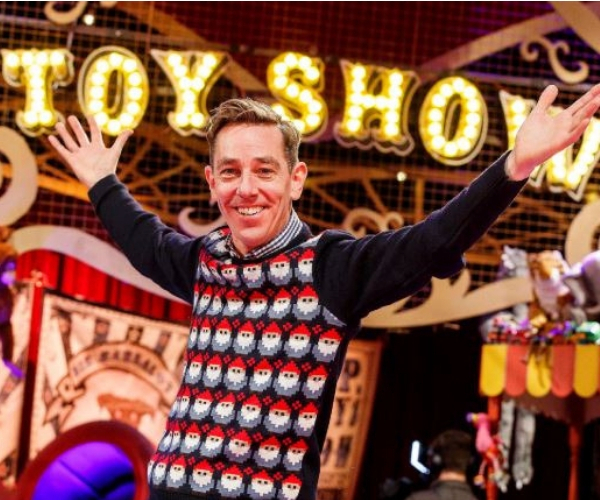 Another Late Late Toy Show has come and gone, and now kids are carefully compiling their wish lists for Santa. Did your 'mini-mes' love everything they saw on this magical night? Here, the One4all team have put together a list of the most-wanted toys from this year's show. Baby Annabell Baby Walker, Argos. Baby Annabell 'My Special Day' Doll, Littlewoods Ireland. Fur Real Ricky the Trick Lovin' Pup, Littlewoods Ireland. Sesame Street Me So Hungry Cookie Monster, Littlewoods Ireland. North Pole Breakfast Party Pack, Arnotts. Elf On The Shelf, St Bernard, Arnotts. Unicorn Ride On, Littlewoods Ireland. Vtech 'Myla the Magical Make-up' Unicorn, Debenhams. Chad Valley Helicopter Dino Pack, Argos. FurReal Friends Rock-A-Too, Littlewoods Ireland. Baby Alive Potty Dance Baby, Littlewoods Ireland. Baby Born Interactive Bath Tub, Debenhams. Baby Born Unicorn Onesie, Debenhams. Our Generation 'Jovie' Doll, Debenhams. Our Generation 'April' Doll. Debenhams. Barbie Care Clinic Playset, Littlewoods Ireland. Cardinal Unicorn Ring Toss, Littlewoods Ireland. TyBo Tie Die Design Studio, Littlewoods Ireland. Pottery COOL Studio, Littlewoods Ireland. X Factor Microphone, Littlewoods Ireland. John Adams Chocolate Sprinkle Stix, Littlewoods Ireland. Cool Create Chocolate Bar Maker, Littlewoods Ireland. Nickelodeon Slime Jumbo Pack, Littlewoods Ireland. Cra-Z-Art Cra-Z-Slimy Creations Super Slime Studio, Littlewoods Ireland. Crate Creatures Suprise, Littlewoods Ireland. Poopsie Suprise Unicorn, Littlewoods Ireland. L.O.L Suprise! Bigger Surprise, Littlewoods Ireland. Nintendo Switch LABO Robot Kit, Littlewoods Ireland. NBA Basketball 2K19, Littlewoods Ireland. LOL Surprise Bike, Littlewoods Ireland. LEGO Harry Potter Hogwarts Express, Art & Hobby. LEGO Harry Potter Great Hall, Debenhams. LEGO City Artic Mobile Exploration Base, Littlewoods Ireland. Toot-Toot Friends Kingdom Pirate Ship, Debenhams. With great retailers like Toymaster, Argos and Littlewoods Ireland to choose from, One4all Gift Cards can be used to buy a wide range of toys, games, gadgets and much more for kids this Christmas. View our top retailers for kids' gifts here.